40+ Years in Business. Your local moving specialist. There’s a reason that 70% of Jimmy’s business comes from repeat customers. His attention to detail, safety and professional ability has been impressing clients for forty years. 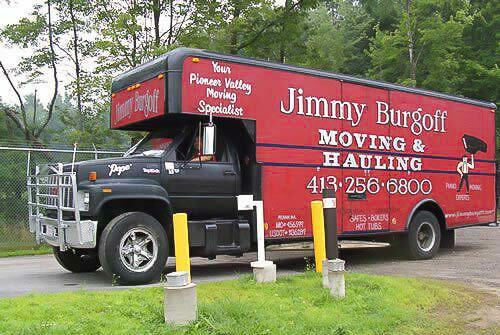 Top rated on Yelp, Better Business Bureau, Angie’s List and a member of the Amherst Chamber of Commerce, Jimmy Burgoff is the local moving specialist you can trust for all your moving needs. He will help you load and unload your rental truck as well. Call 413-256-6800 for a FREE quote, or fill out the form to send an email. 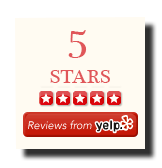 Reviewers on Yelp love Jimmy Burgoff for his dedication to moving items safely and satisfying the needs of his customers. 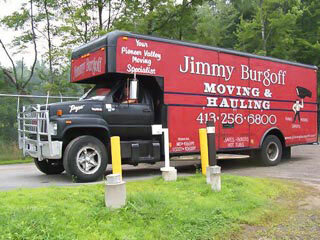 Jimmy Burgoff Moving and Hauling received the Angie's List Super Service Award in 2015 and 2016 for superior service. 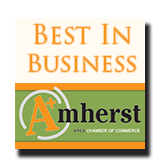 Jimmy Burgoff Moving and Hauling was recently awarded Best In Business by the Amherst Chamber of Commerce. Jimmy has moved over 9,500 pianos… and counting. 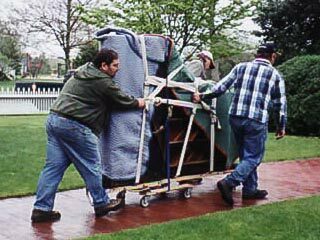 Why trust moving your piano with anyone else? Jimmy’s big trucks mean that there is plenty of room to fit all of your valuables so that they will enjoy a SMOOTH RIDE to their destination. This offers more safety for your items than cramming them into panel vans or smaller rental trucks like most moving companies do. 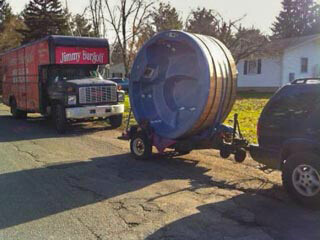 Jimmy has custom designed equipment for moving your hot tub safely, without damaging lawns, walkways, flower beds, pets, or anything else.